After some teaser from razer and some leaked specification from GFXBench ahead of its launch, The new smartphone from Razer is finally here. Razer Phone combines Razer's gaming specialization with the smartphone side coming from Nextbit, the maker of the Robin that Razer acquired earlier this year. 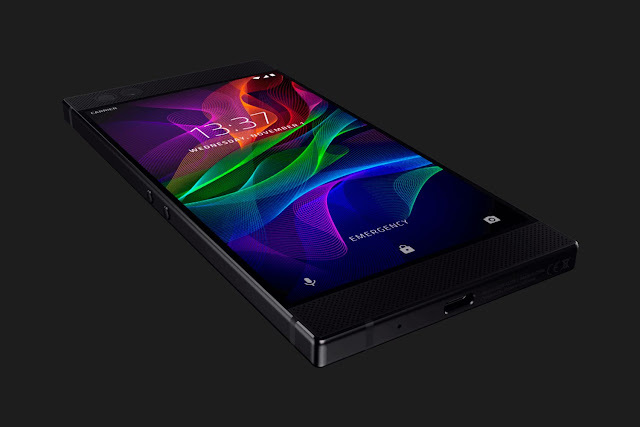 But the Razer Phone is not your regular gaming phone and Razer was emphasize that the device is for the entertainment junkie not just gaming but for those who love browsing the net, watching videos and, listening to music. 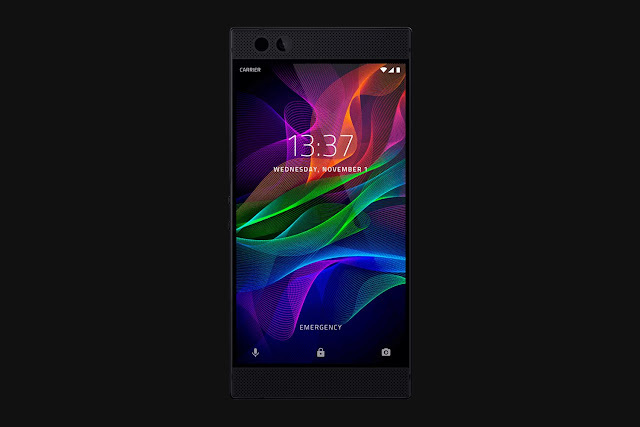 Razer is also the first smartphone to features a 120 Hz display, the Razer Phone definitely stands out from the pack. Refreshingly, it’s not even that expensive coming in at $700. Razer Phone uses a tech called UltraMotion to synchronize the display refresh rate with the frames rendered by the mobile GPU, similar to Nvidia’s Gsync feature for desktop PCs. The display itself is a 5.72-inch IGZO LCD panel of Quad HD resolution (in 16:9 format) that offers a Wide Color Gamut it is an IPS display as OLED display still doesn't support a 120 Hz refresh rate. Given this technology you can expect liquid smooth animation and transition when using the phone, the display also adjust itself when not in used, bringing it to 60 Hz to save some battery. Bezel-less is the trend but as you see it has two chunk of bezels on top and at the bottom, which considering that it is a gaming phone, you need that bezels to hold the phone properly while playing and those bezels house the front firing speakers.Razer equipped its phone with Dolby Atmos technology in order to extract the most volume and clarity out of the two speakers. There’s no 3.5mm audio jack on the Razer Phone, which is a bit of a letdown, but hopefully the THX-certified USB Type-C audio adapter and 24-bit DAC will make up for the inconvenience. Razer Phone runs Android 7.1 out of the box, but promises an Oreo update for early next year. The phone is not quite stock – Razer made several customization to take advantage of the hardware and pre-loaded the premium version of Nova Launcher as the default launcher on the device. An app called Game Booster lets you customize the frame rate, resolution and processor clock speed on a per-app basis. As expect from Razer, the device features a truly impressive spec sheet. The phone is powered by a Snapdragon 835 processor with Adreno 540 GPU, along with 8GB of LPDRR4 RAM, and 64GB of internal storage, expandable via microSD. Razer says you’ll even be able to overclock the processor given its efficient cooling technology on the phone. Its also has a dual 12 MP rear camera and 8 MP front shooter.